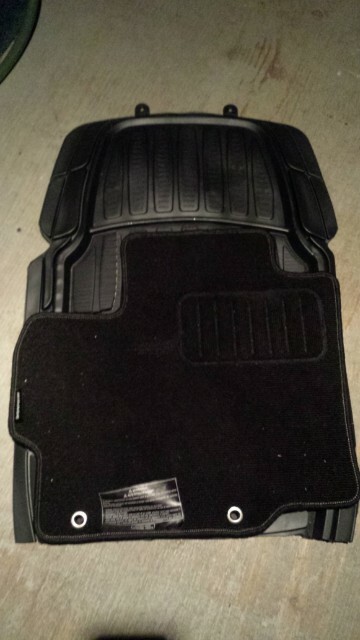 It's been starting to snow lately, so it was time to get some winter mats. 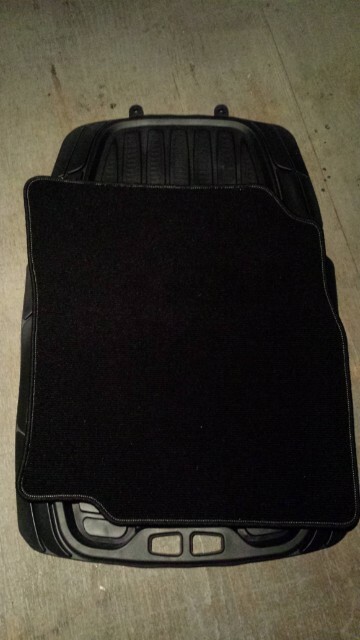 With buying custom-fitting mats for about $150 out of the question, I had to do something different. I picked up this set of Rubbermaids on sale for 60% off at Canadian Tire for about $15. Not exactly "universal" like the tag said! But I had planned ahead. All I used to cut them were regular scissors and a utility knife. 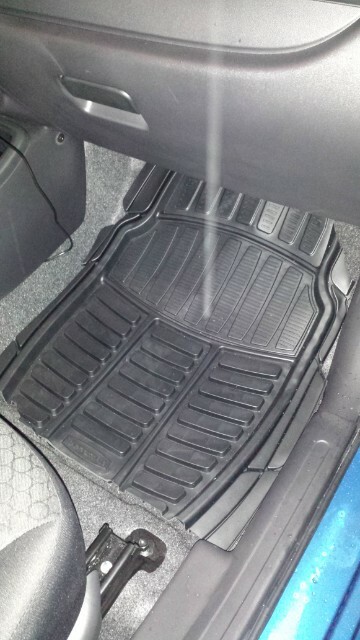 I placed the left side OEM floor mat on top of one of the rubber ones. After trying a few different positions, I decided that this was the best position for it to be cut from (I've already cut a bit off in this picture). 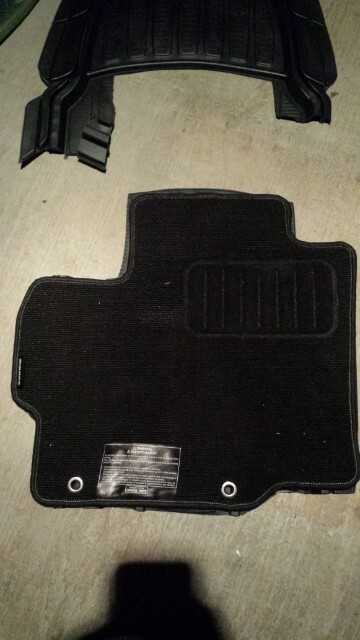 Here's the OEM mat over the new one. Pretty close. Doesn't need to be exact, anyway. Next was the right side. A bit more of a challenge due to the awkward size. 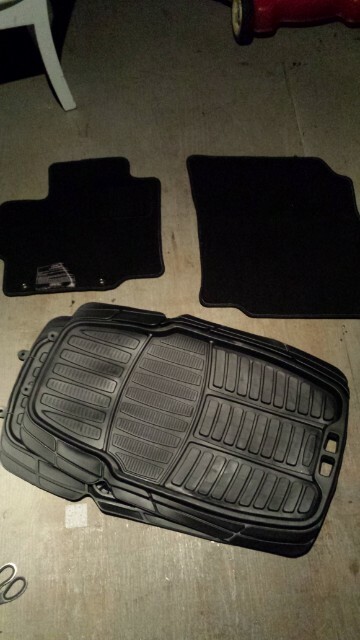 The OEM mat is actually a bit wider than the new ones. Still, I decided the pictured position was the best to cut from. Here's the right side done and installed! The OEMs look quite a bit smaller than my cuts in this picture, but that's only because of my shooting angle. They're pretty dead on, for a 15-minute job. Easy! Pretty much any regular-sized mat will do. 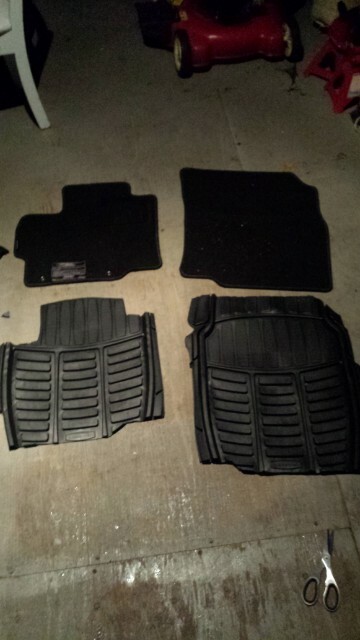 Alot of the time, I think you could get a set of universal rear mats and they would fit the front. Either just dropped in without any cuts, or with slight ones. But Canadian Tire didn't carry many, and had none left in black. With the sale, these were cheaper, anyway. My only regret is making the cut under the gas pedal. 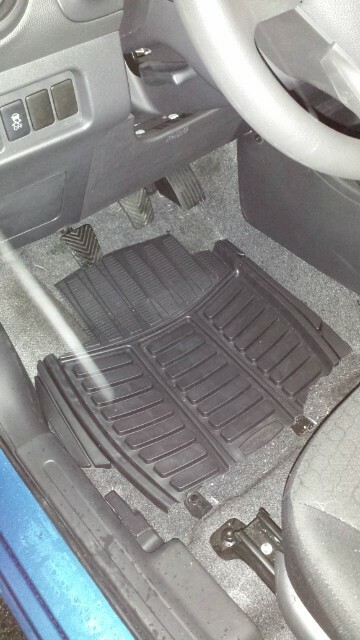 I'm not sure why the OEM ones are shaped to expose the carpet under the gas pedal. I didn't realize until after I had the new ones installed. Good way to save $135!